On August 15, 1965, 55,000 screaming fans were waiting for the Beatles to come out on stage at the Shea Stadium in Queens, New York City. And when they started playing, the crowd went crazy. The event turned out to be a tremendous success. It wasn’t just the first concert of the band’s first American tour, but it was also their first concert held in a venue as big as Shea Stadium. However, just as this ground breaking concert entered the annals of musical history, so has the majestic Shea Stadium herself. 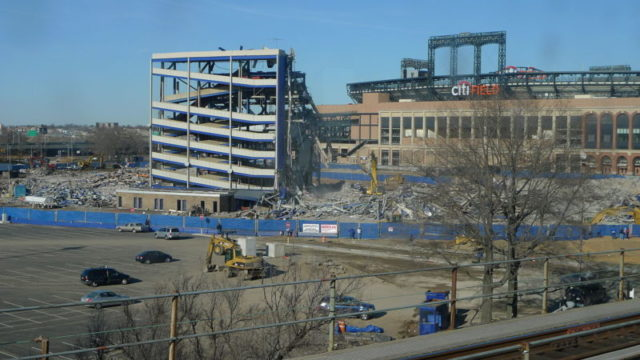 In 2009, this historic stadium was demolished and is now Citi Field’s parking lot. This grand stadium was the home and sacred ground of the New York Mets and their fans for 45 seasons, starting from 1964. The construction of the stadium started on October 28, 1961, and was the first new stadium for the city of New York since 1923. The main driving force behind the project was the famous attorney William A. Shea, who is remembered as the man who ensured that Major League baseball returned to New York. Originally, the stadium was to be called “Flushing Meadows Stadium,” however a strong campaign lead by activist Bernard Gimbel, in the fall of 1962, succeeded in it’s goal to name to the stadium in honor of the man who made it all possible. Praeger-Kavanagh-Waterbury was the architectural firm responsible for Shea’s design. It was thought of as a double purpose facility, capable of hosting both baseball and football games. And while the shell of the stadium was finished and the steel framework already covered with concrete units, the extremely cold winters that struck New York in 1962 and 1963, followed by many different labor strikes, postponed Shea’s opening for another year. Finally, on April 16, 1964, Shea Stadium had its grand opening. In a symbolic ceremony, the players of the Mets were baptized on the field by William Shea with bottles of water, officially making this their new home. The next morning, the outfield was laid with fresh sod and the signs painted over. Everything was ready and done for the Mets to begin their first official batting practice at their new stadium. Unfortunately, they lost their first game against Pittsburgh, with a final result of 4-3. The entire structure of Shea Stadium counted 21 escalators, four restaurants, 54 restrooms and an enormous scoreboard, maybe even the biggest at the time. Also, the stadium’s circular shape was what made it stand out from all the other baseball stadiums. It’s unique architectural design, apart from its shape, also included 2 rotating stands, each with 5,000 seats, thus making Shea the first American stadium that utilized not one, but two movable stands. Jim Waterbury thought this was a very practical solution, because the rotating stands made it easier to convert the baseball field into a football field. The left field platform rotated toward the center field, clockwise, and the right platform rotated counterclockwise lining up the seats with the sidelines. 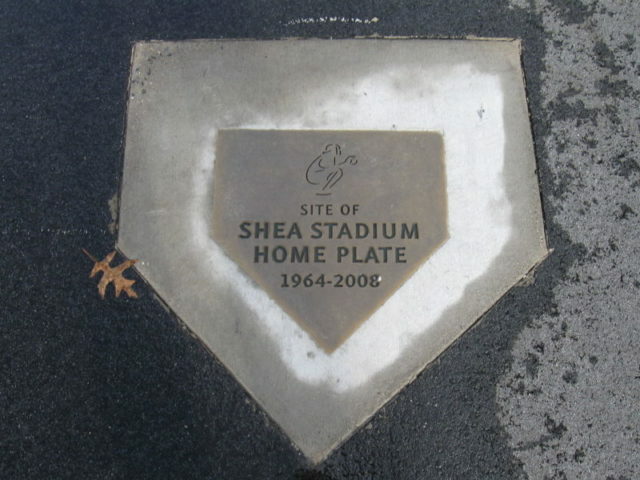 Throughout the years, Shea Stadium was the host of many baseball postseasons, and also held the World Series five times in 1969, 1973, 1986, 1988, and 2000. 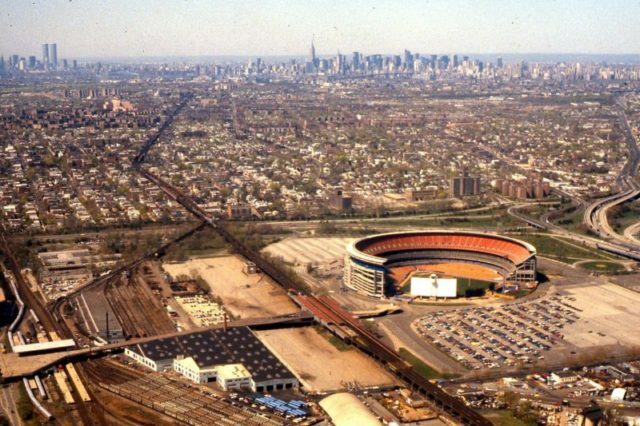 The 1969 season holds a special place in the history of Shea Stadium. Widely known as the “Miracle Mets,” led by former Brooklyn Dodger Gil Hodges they won the World Series, beating the Orioles 5-3 in Game 5. In a frenzy, the fans jumped from their seats and stormed the field to celebrate this great victory with the players. Eight years later, on September 28, 2008, the Mets played their final game in their old home stadium. 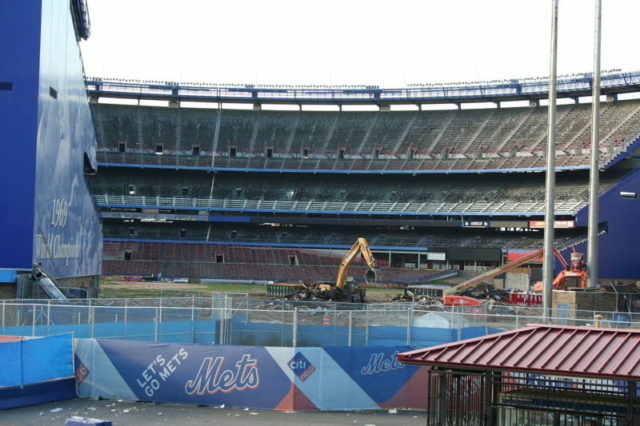 It was the end of an era, where the players and fans said their last goodbye to Shea Stadium. It was deconstructed over the following year. The Mets current home turf, the $850 million Citi Field, was opened for the 2009 season.